Jaundice is a very common medical condition occurring in recently born babies. More than 60% of all infants experience some level of jaundice in the days and weeks after birth. In almost all of these cases the jaundice simply goes away on its own after a few days or weeks and maybe a little exposure to sunlight. This does not mean that newborn jaundice can be ignored by parents or doctors. When not properly monitored and managed, some cases of newborn jaundice do not clear up on their own and can become a major health risk. What is Jaundice and why do Newborns get it? Jaundice is a medical condition that occurs when the amount of bilirubin in a person's bloodstream gets too high. Bilirubin is a natural byproduct of red blood cell breakdown. Red blood cells in the body only have a lifespan of about 4 months so the body is continuously breaking down and disposing of dead red blood cells. Bilirubin is basically the waste product leftover from the breakdown of red blood cells. Bilirubin is a toxin inside the body so it is normally filtered out of the blood primarily by the liver with leftover amounts excreted in the urine. When the liver is working properly only very small levels of bilirubin will be left in the bloodstream. If the liver is not effectively filtering bilirubin it will start to build up in the bloodstream. Jaundice is the medical condition which occurs when bilirubin levels in the blood get too high and begin to have a toxic effect on the body. Bilirubin has a yellow-orange color so the most noticeable physical symptom of jaundice is yellow in the eyes and skin. The occurrence of jaundice in adults is an indication that something is wrong with the liver. The reason that newborn babies frequently have jaundice after birth is because their livers are not fully developed and fully functioning when they are born. During gestation the mother filters bilirubin through the placenta. After birth the baby's liver has to take over that function and it frequently struggles to keep pace, especially in the first few days and weeks. This causes almost all newborn babies to have slightly elevated levels of bilirubin in their bloodstream and in many cases the bilirubin levels are high enough to classify as jaundice. Eventually the baby's liver starts to get caught up on bilirubin filtration and the jaundice gradually clears up. In a few rare cases, however, the baby's liver is not able to catch up fast enough and the jaundice continues. Prolonged infant jaundice or extremely severe cases of jaundice can present a number of very serious health risks for the baby. Your pediatrician is medically responsible for diligently monitoring and managing all cases of newborn jaundice. Once newborn jaundice is diagnosed its progression needs to be closely monitored to ensure that the baby's liver appears to be slowing catching up. Unless the jaundice is particularly severe, treatment is usually limited to exposing the baby to direct sunlight. If the jaundice is particularly severe or does not start to clear up on its own, however, there are other more invasive treatments available. The problem is that doctors often fail to monitoring newborn jaundice as closely as they should. Infant jaundice is so common and so frequently benign that doctors have a tendency to ignore it and don't always monitor it as closely as they should. As long as jaundice is properly monitored for signs of abnormal progression doctors can almost always prevent it from causing any major harm to the baby. Exposure to phototherapy lights and/or emergency blood transfusions are usually very effective methods for treating serious infant jaundice. The key is diagnosing jaundice and then distinguishing the few potentially dangerous cases of infant jaundice from all the other thousands of normal cases. Although very uncommon, untreated jaundice can lead to a very serious and life threatening brain condition called kernicterus. Below a few settlements and verdicts in recent medical malpractice cases involving a failure to properly diagnose, monitor or treat infant jaundice. Rodriguez v. NYCHHC (New York 2018) $6 million: baby was at increased risk of infant jaundice because of a blood type incompatibility with his mother. Despite this risk the baby was not immediately put in the nursey or NICU but left in the room with the mother. When his bilirubin levels were eventually checked sometime later they were dangerously high and an emergency blood transfusion was ordered. During the emergency transfusion procedure the baby suffered cardiac arrest and brain injury from oxygen deprivation. The injury left him cognitively impaired and unable to talk. The jury in Queens County found the hospital negligent in failing to monitor the baby and awarded $6,000,000. Smalls v. Ouchita Valley Family Med. (Arkansas 2017) $46.5 million: doctors at a local family medical practice failed to properly monitor and manage newborn jaundice which eventually developed into kernicterus causing severe brain damage. Specifically, a blood test on the infant indicated dangerously high bilirubin levels in the blood but the test results were misinterpreted so phototherapy treatment was never done. The jury found the doctors 85% negligent and the hospital 15% negligent and awarded a total of $46.5 million. Turner v. NYCHHA (New York 2008) $4 million: hospital negligently failed to timely address a very significant elevation of bilirubin suffered by the baby who was born prematurely at 34 weeks. Initial signs of jaundice were treated on day 2 with phototherapy. However, when jaundice later returned days later it was largely ignored. As a result of the failure to timely treat the jaundice when it returned the baby suffered respiratory acidosis and brain damage. Plaintiff's expert testified that phototherapy should have been done when the jaundice returned. The jury awarded $4 million in damages. 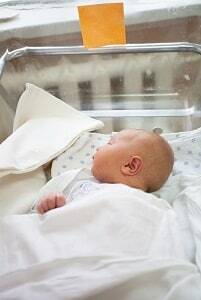 Frederick v. Howard (Wisconsin 2007) $7.9 million: Baby was born normal but at 40 hours old he was noted to be slightly jaundiced. 5 hours later his condition was worsened to moderately jaundiced. Despite signs that he was even more jaundiced the following day he was released home from the hospital with no treatment and scheduled for follow up later in the week. Following discharge the mother called the doctor's office to report that the jaundiced seemed to be worse and the baby was not feeding. She was told not to worry and come in for the scheduled visit. When she eventually brought the baby in he had lost 20% of his body weight and was very jaundiced. A blood test was done to check his bilirubin levels. When the test results came back 6 hours later it showed dangerously high bilirubin levels and the doctor told the mother to go to the emergency room immediately. The baby's jaundice had already progressed into kernicterus and caused permanent brain damage. The jury awarded almost $8 million. If you believe your doctors failed to monitor or manage your baby's newborn jaundice and it caused injury contact the birth injury lawyers at Miller & Zois. Call our lawyers at 800-553-8082 or select here for a free consultation.